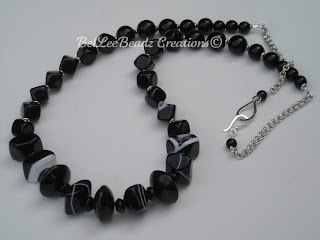 An assortment of agate and onyx beads, this 30" necklace comprises black agate - diagonal cubes and wheels and smooth round black onyx. 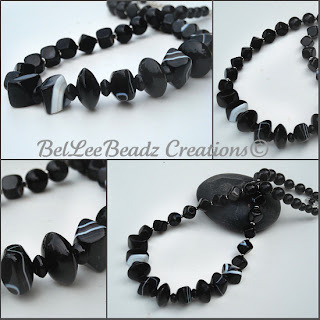 Arranged in ascending order, I've used sterling silver spacers between the stones and ended this with sterling silver double linked chain, with a sterling silver fastener. At a giveaway price.